Here come the girls. More than 2,000 to be precise, who will be taking to the footpaths and coastal walkways as part of the Pink Ladies Sunset Coastal Walk today. Gary Burgess, the breakfast presenter at BBC Guernsey, will be getting ladies in the mood at the start line with back-to-back disco classics. Please click here for more information. If you have already registered, please click here for further information ... Please click here for more information. 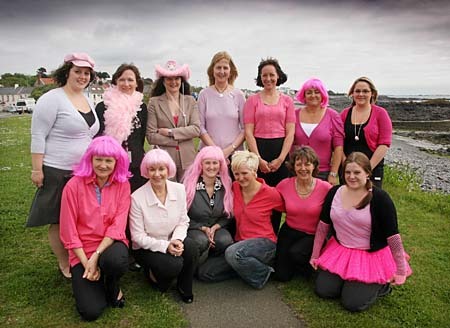 The Pink Ladies are pleased to announce that this year's Sunset Coastal Walk will take place on Saturday 20th June 2009. Further details were launched in the Guernsey Press on 21 April 2009 and are available below. Please click here for more information. Please click here to download a printable Registration Form. - 21/04/2009 Please click here for more information. Please click here to download a printable Sponsorship Form. WOMEN are being asked to think pink and get walking again this summer. 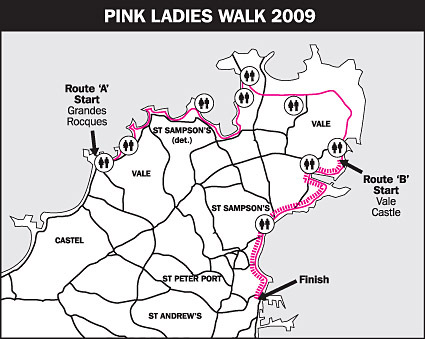 Today the Guernsey Press can reveal the launch of the Pink Ladies' Sunset Coastal Walk 2009, which will take place on Saturday 20 June and raise funds for the Pink Ladies breast cancer support group and Les Bourgs Hospice. Please click here for more information. It's back by popular demand ­ which means it's time to pull on your trainers and root out something pinkish and perky from the depths of your wardrobe. Yes, the Pink Ladies' Sunset Coastal Walk hits the road again in June and -­ calling all women and girls throughout Guernsey ­- one of your favourite charity events needs you. Gemma Long reports Please click here for more information. There are two walking routes. The first starts at Grandes Rocques at 6pm and is approximately 10.5 miles long. The second is approximately 3.5 miles, starts at 8pm at Bordeaux and will be joined by those from the first walk to the finish line in Town, where there will be a celebration. All ages are welcome, although youngsters must be accompanied by an adult. Please click here for more information. 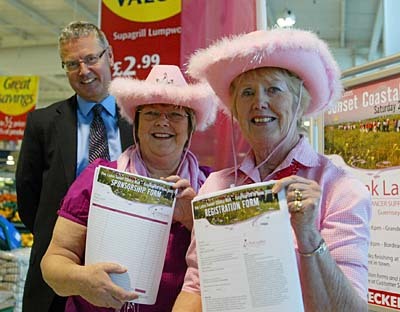 ENTRY forms for the Pink Ladies Sunset Coastal Walk can now be picked up with the weekly shop. Sandpiper CI, owner of Checkers and Safeway supermarkets, has started distributing registration and sponsorship forms at Checkers, Admiral Park, and Safeway, in the Rohais. Please click here for more information. Feeling exhausted while working long hours and looking after a child seemed nothing unusual but the real cause of Guernsey Press correspondent Kay Leslies tiredness was breast cancer. Here, the 49-year-old shares her story and issues a warning to other women Please click here for more information. 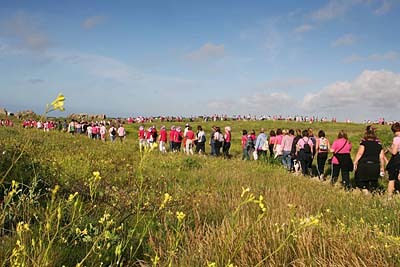 A GROUP of Guide leaders are among islanders taking part in this years Pink Ladies Sunset Coastal Walk. The team of eight, who are walking with friends, all run Rainbow, Brownie or Guide units and have been taking part in practice walks to get fit for the event. Please click here for more information. ALL walkers in this years Pink Ladies Sunset Coastal Walk will be medal winners. 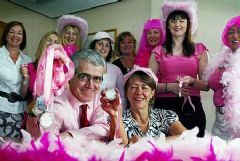 Chartered accountants Saffery Champness are funding more than 2,000 pink medals, which will be handed out to all those who complete the walk. Please click here for more information. 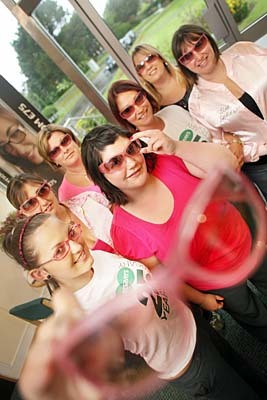 PINK fever has taken over one business in the lead-up to Saturdays Pink Ladies Sunset Coastal Walk. A team of 12 staff at Kleinwort Benson will be taking part in the walk and to boost their fund-raising efforts they will be holding a pink cake and book sale tomorrow. Please click here for more information. 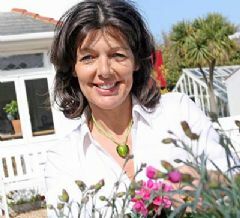 THE Lt-Governors wife has sent a message of support to women taking part in Saturdays Pink Ladies Sunset Coastal Walk. Lady Malbon will cut the ribbon to set walkers off on their route to Town from Grandes Rocques at 6pm. She said she was looking forward to starting the event and wanted to wish everyone taking part the best of luck. Please click here for more information. 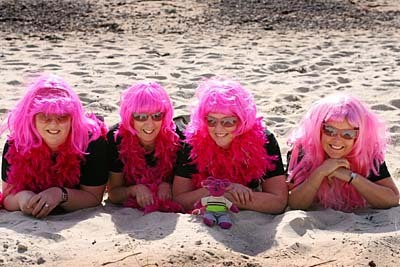 ISLANDERS have just five days left to register for this years Pink Ladies Sunset Coastal Walk. More than 1,600 islanders have already signed up for the walk this Saturday and one team taking part are already in the pink for the event. Specsavers has a team of 12 women walking and the company has donated hundreds of pairs of pink shades to get participants in the mood. Please click here for more information. PINK Ladies Sunset Coastal walkers have a special celebration in store at the finish line on Saturday. Organisers are making final preparations and the event is expected to be bigger and better than the first walk, which attracted 2,000 women in 2007. Co-organiser and Pink Ladies treasurer Doreen Le Poidevin urged women who still wanted to take part to sign up for the walk. Registration forms can still be accessed on the Pink Ladies website get your forms in as soon as possible, she said. Please click here for more information. WALKERS will be greeted with a sea of pink when they cross the line in Market Square at the end of the Sunset Walk. 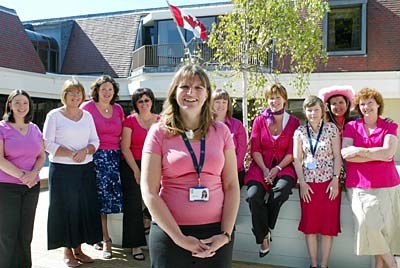 A dozen 15ft-high pink flags will be put up to mark the end of the Pink Ladies charity coastal trek next month. Please click here for more information. The painful condition lymphoedema can be a side-effect of breast cancer treatment. 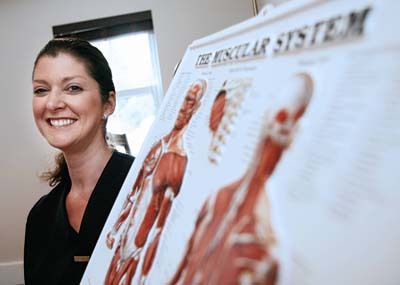 Nicci Martel heard from Sarah Kelly how a special form of massage can help sufferers Please click here for more information. In the run-up to the Pink Ladies’ Sunset Walk, Nicci Martel discovers how best to prepare your feet for arduous action... Please click here for more information. SUPPORT for this months Pink Ladies Sunset Coastal Walk is growing and there is still plenty of time to enter. So far, organisers have received 1,350 registration forms for the event, which is organised in conjunction with the Guernsey Press. Please click here for more information. - 06/06/2009 Please click here for more information. SILENCE could be golden for one islander on Saturday. Jan Olliver, owner of Trim Dog Pet Centre, is planning a sponsored silence to raise money for the Pink Ladies ahead of their Sunset Coastal Walk this month. Please click here for more information. 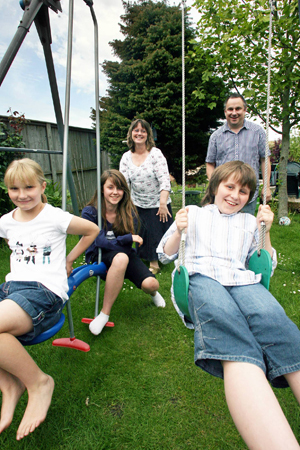 TRACEY and Andy Coleman met in their early 20s, fell in love, got married and had three children. But their lives were turned upside down five years ago when Tracey, 46, was diagnosed with grade three breast cancer. It wasn’t a lump that she found but a thickening of the skin. Please click here for more information. 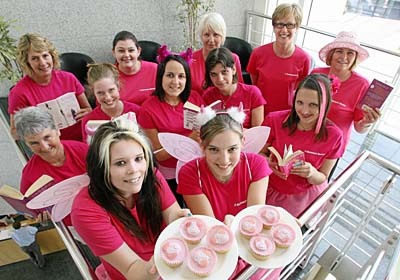 STAFF from an accountants office are encouraging women to look pretty in pink next month ­ all for a good cause. 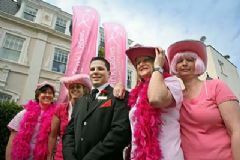 A team of 13 women ­ a number likely to rise ­ from Saffery Champness will line up for the Pink Ladies' Sunset Walk. Please click here for more information. In June Rosemary O'Hara was lying on the beach with her husband when she noticed a lump in her breast. She went to see her doctor immediately. Days later Rosemary was diagnosed with breast cancer and within one week had surgery to remove it. Please click here for more information. LIZ Guilbert is the friend of a breast cancer survivor. She wanted to do her part to support women like her friend who have battled against the disease and now work to help others. Please click here for more information. 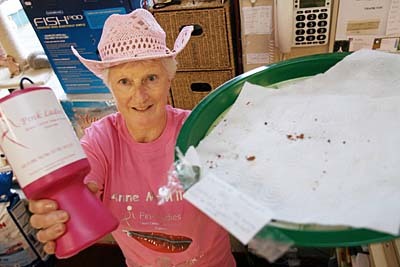 CAROLYNN Bihet took part in the Pink Ladies' Sunset Coastal Walk in 2007 because she felt she could help make a difference. Please click here for more information. Jan Olliver, a close friend of Anne McMillan, will be undertaking a Sponsored Silence on Saturday 6th June at Trim Dog Pet Centre & Aquatics. Please click here for more information.